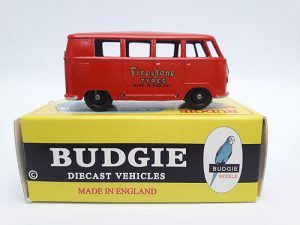 Morestone got its name as a contraction of “Morris” and “Stone” who started distributing the toys in the 1940s. 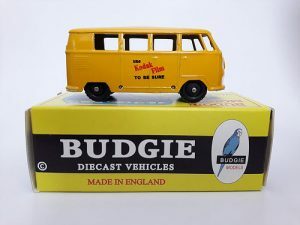 The company name budgie was introduced in 1959. 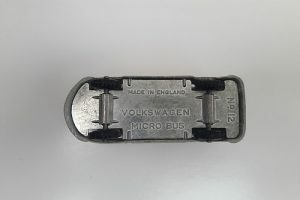 The company was acquired by S. Guiterman in 1961, but went out of business in 1966 (Nigel 2013). 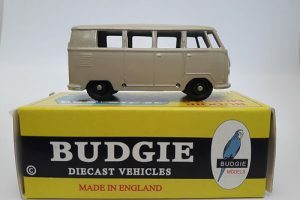 After this, Modern Products kept making some of the Budgie models until 1969 (First Gear, no date; Ragan 2000, p. 27). 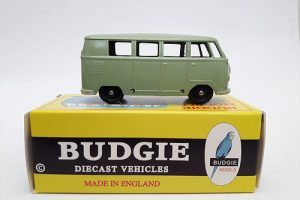 Also after 1966, the H. Seener Ltd. company continued to produce slightly altered Budgie models which appeared under the “Seerol” name until the late 1990s (First Gear, no date). 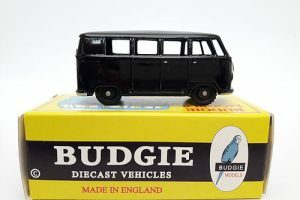 Modern Products, H. Seener, and Seerol produced models through the 1990s mainly for the London tourist market (First Gear, no date). 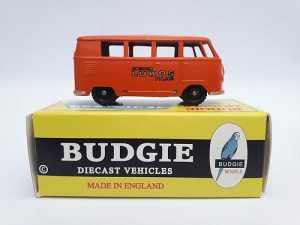 Another company that took over dies from Modern Products was Starcourt, so it took a while for Budgie Model production to truly cease. 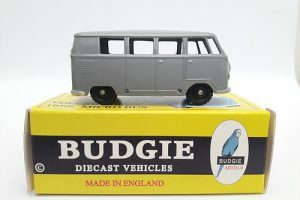 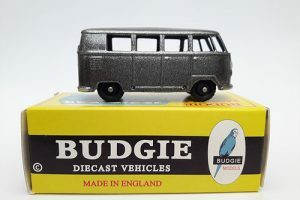 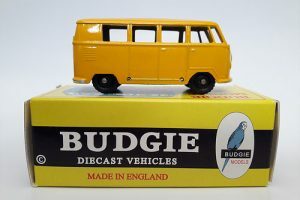 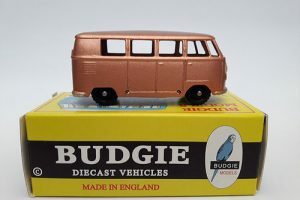 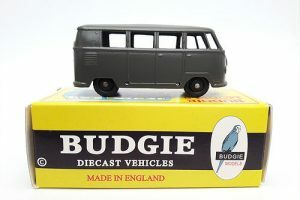 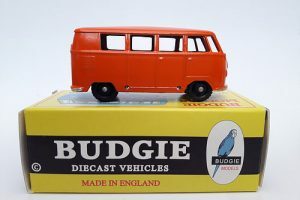 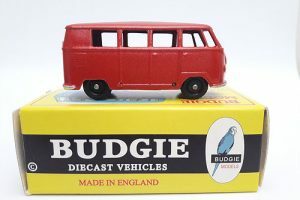 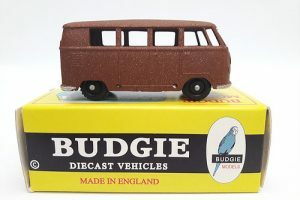 In 2017 the original dies for the matchbox size VW beetle and Microbus reappeared under new ownership and are being offered online by the creator of DG copy models, Dave Gilbert under the budgie models website.